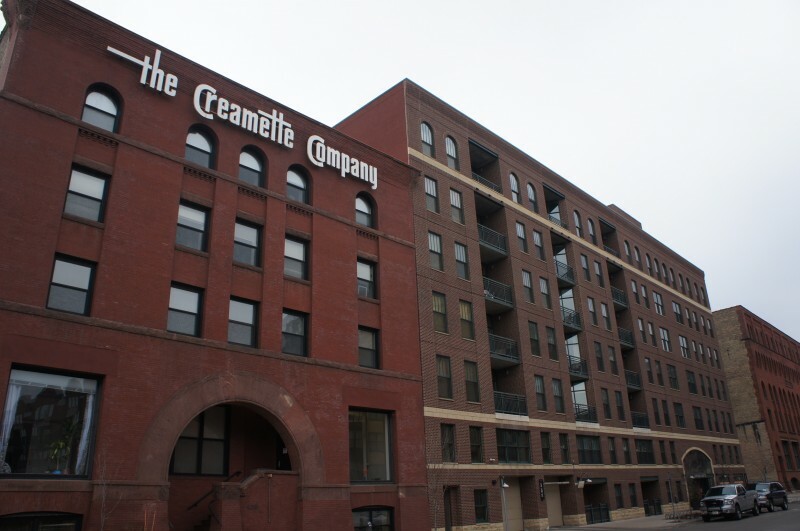 Lindsay Lofts is a condo building near the Mississippi river front in the North Loop. The building is only a short stroll to the downtown's core and the hustle and bustle on Washington Ave.
Lindsay Lofts has a contemporary interior and exterior feel with modern kitchens that include maple cabinets, granite counters and stainless appliances. Ceilings are 10 ft and flooring is typically hardwood while bedrooms are carpeted. Conspicuous concrete pillars that support the structure of the building are evident in-unit. Gym and community room are in the same room on the second floor. 6 guest parking spaces are shared with Riverwalk Lofts. Parking rights for each guest are for 72 hours max per car. Private balconies on the upper floors have river views at the rear of the building. 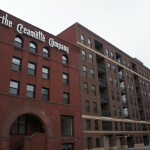 The building has some of the largest 2 bedroom floor plans in the area. Most with very large living spaces. If you're interested in learning more about Lindsay Lofts for Sale. Contact MPLS LIST today. Move-In Times: Weekdays and weekends from 8am - 4pm. Rental Cap: No Cap. Leases must be 6 months in length minimum.